First off, HAPPY NEW YEAR TO EVERYONE! :) I hope everyone had a wonderful time bringing in the new year last night! 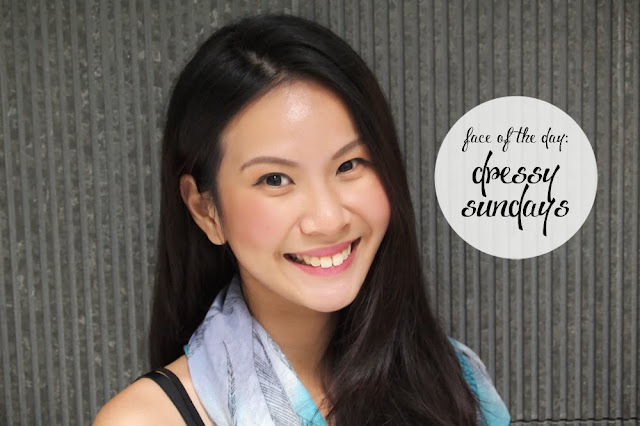 To kick start 2014, I thought I'd do something I haven't done in awhile... an FOTD! My last one was done a good few months ago, and you can read it here if you'd like. That one was done based on drugstore makeup. P/S: Don't be too freaked out by my lack of brows.. I'm getting them embroidered today hooray! First I'll start off with a good sunblock as my base. Sunblock is so important, I cannot begin to explain why, so I shan't hahah. I don't want to make this post too long! 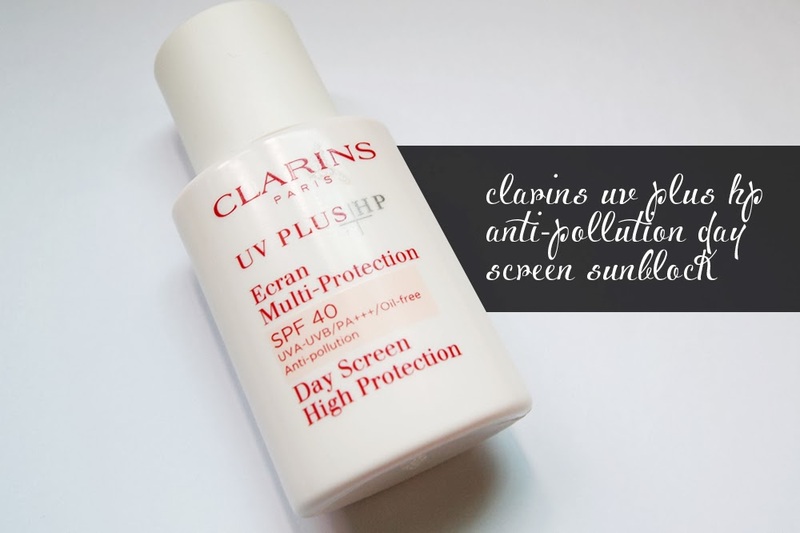 Anyway, I use a generous amount of my HG of all sunblocks, Clarins UV Plus HP, and dot it all over my face and pat it in. I blend at the edges so there's an evenness with my skin. P/S: I prefer leaving my skin in a more natural state (unless I have events to attend) so I do not apply BB creams and/or foundations. But this sunblock has a slight hint of color so it does even my skin tone out adequately. I have pretty serious dark rings due to sinus problems and lack of sleep (this is what art school does to you)... so I usually apply highlighter around my ocular bones to brighten the whole look up. As you can see, this lessens my dark rings quite dramatically. 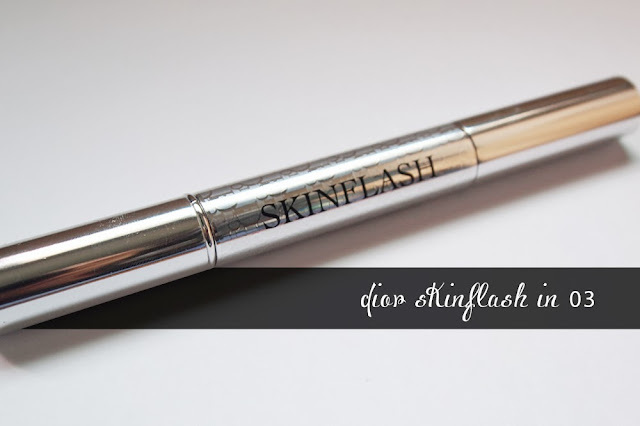 I'm currently using Dior's Skinflash in 03. I used to use YSL's Touche Eclat but I thought the Dior worked better regarding the dark eye rings. 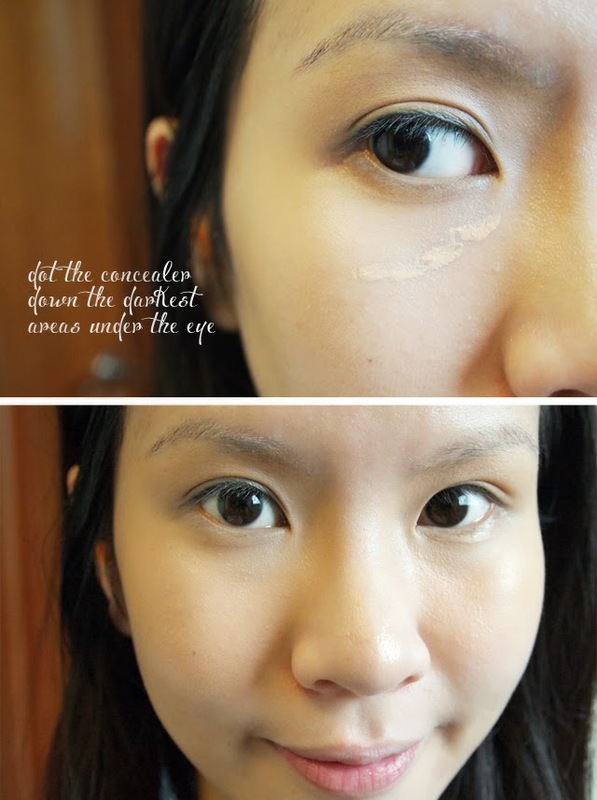 I normally do not put concealer on my problem spots or areas because I believe covering them up only causes them to get worse, so I apply it only under my eyes. 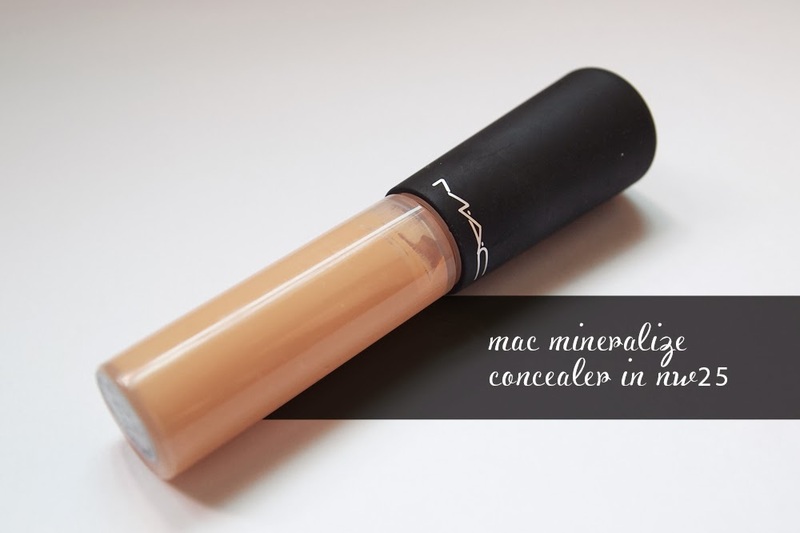 In this case, I'm using MAC's Mineralize Concealer in NW25. 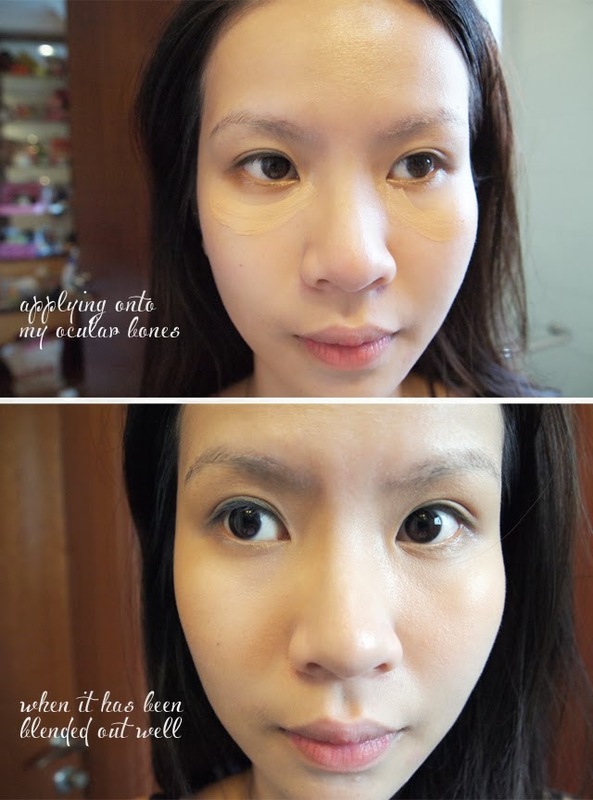 I like the Mineralize Concealer better because it's more hydrating and kinder to my undereyes. The color evens out with the slight orange tint of Dior's Skinflash and really makes my whole eye area look more awake! To set my base makeup, I use an all over finishing powder, Jurlique's Rose Silk Finishing Powder, and sweep it all over my under eyes, cheeks, forehead.. basically my whole face haha. 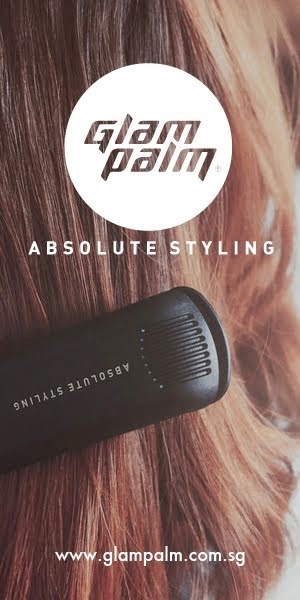 I use my Real Techniques Fluffy Brush to do this, and it feels soooo wonderful! The result is a soft luminescence which I love! 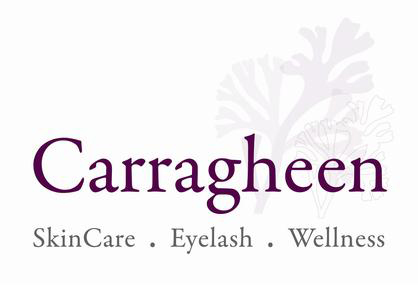 It is moisturizing at the same time, so your skin never feels dried out! Any shine is naturally lessened out and my face remains relatively matte throughout the day. 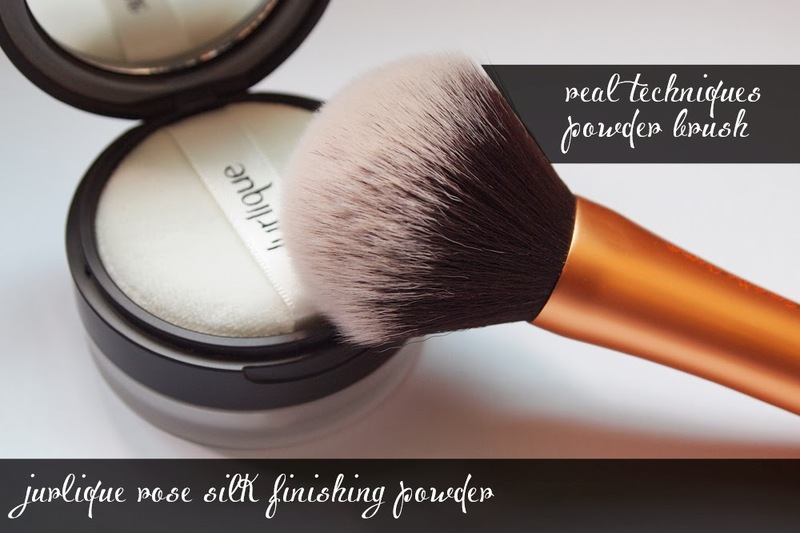 I feel so happy whenever I use this powder because it is so lightweight it's like I have nothing on! 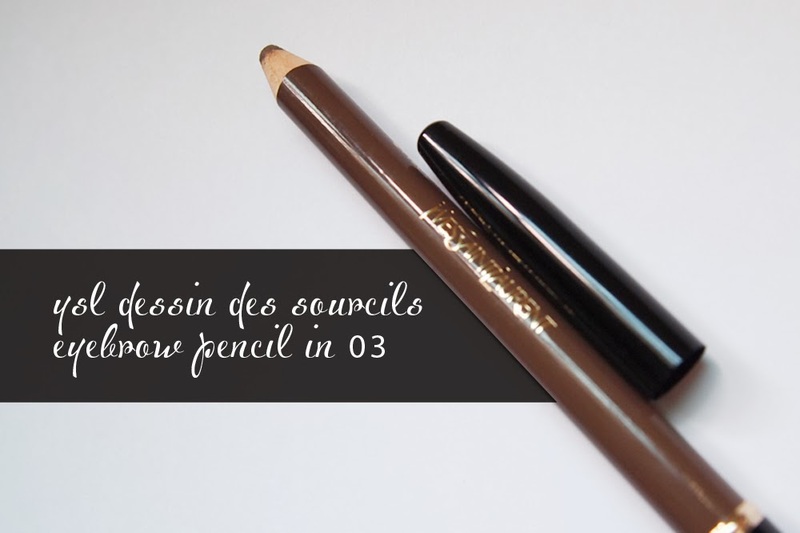 I am using YSL's Dessin Des Sourcils Eyebrow Pencil in 03 right now because my eyebrows got lasered off recently (post here) and I need to draw them in... It's such a pain honestly. I hate drawing my brows in. Everyone should get some form of eyebrow embroidery done. You will never know how much hassle you're saving yourself till you do it, honestly. Anyway, rant aside, this is one of my favorite eyebrow pencils. It draws in smoothly, it stays the whole day, and really colors in my empty brows nicely. I wish I didn't have to use it everyday to be honest, but it's been doing a good job. 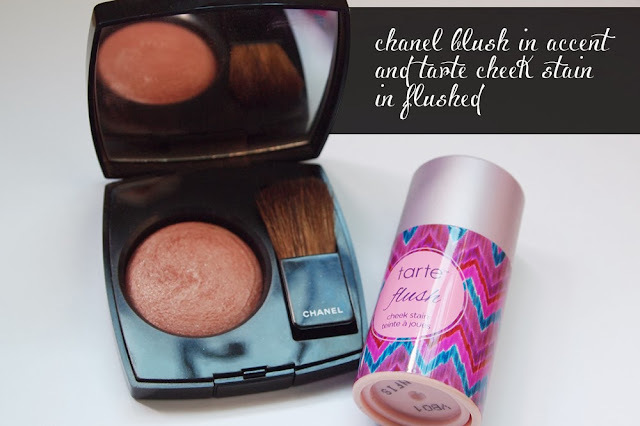 Currently, I've been trying a look out by adding Tarte's Cheek Stain in Flush with Chanel's Joues Contraste Powder Blush in Accent. 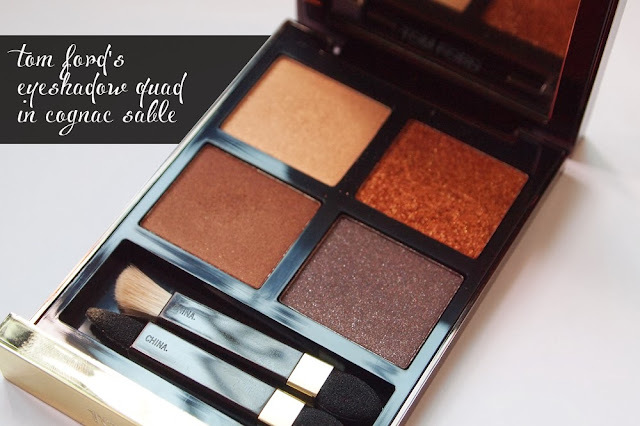 It adds a little reddish warmth to the bronzy look and plays up my cheeks a little more! I've only been experimenting with this look once or twice, but I really quite like it! It can be overpowering at times, so I use my palms to lightly pat any access off. I've recently jumped unto the eyeshadow wagon because I'd like to be a little more experimental! I'm almost a professional in the concealer department, so I thought I'd like to learn a new trade hahaha. This recent eyeshadow I acquired is from Tom Ford and is called Cognac Sable. The counter lady told me it has been discontinued but online sources say it hasn't!? I am truly confused.. Anyway, I love how this can lend to an all-out extravagant look, but also be played down, like I a have used it. I am not a fan of BOOM eyeshadow looks on myself because my eyes are pretty tiny and don't look so good with outrageous colors and the sort.. I might one day, who knows? I do not normally trust any eyeliners but my own, so when I find one I like, I stick to it like glue. 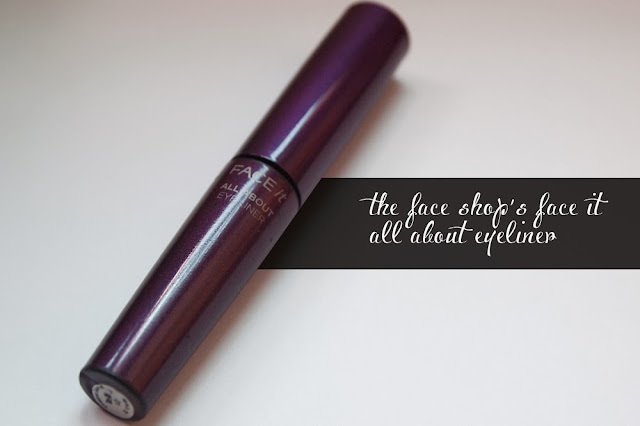 This is The Face Shop's Face It Liquid Eyeliner which I have used for a few years now. It does not smudge at all on me and creates such a defined winged look that I cannot live without. It is my signature look, and has been for up to 5 years approximately haha. Finally, to top it all off, I'm using a very old lip tint of mine from TopShop which I believe they do not sell anymore! 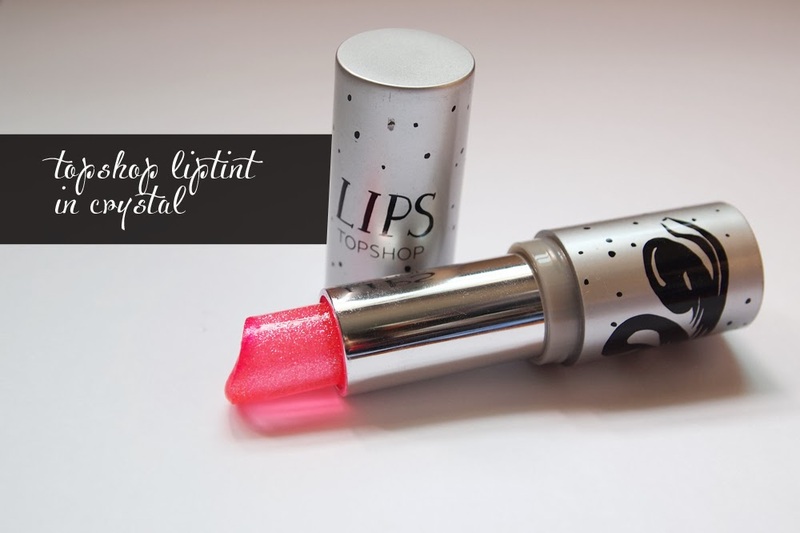 It's a lip tint in a lipstick, and is translucent pink with sparkles inside. The sparkles don't show up on your lips, so your lips remain pink and pretty without going over the top! The lasting power is also pretty awesome for something that cost less than $20! I've been using this on and off for awhile, and it's something I am very fond off. I'll be sad when I do finish this product because it's been my ol' dependable lip tint for the longest time. Thanks Dearest you're so sweet! Sorry for the late reply! is yours a tattoo or embroidery because they mean quite different things! And a tattoo might be much harder to remove as well! Mine was embroidery, and the base color was also something much easier to remove. You might have to look into that! If it helps, do check out this post I did to understand more about the laser process!